Is Sky's set-top box setup worth it? Fetch TV announced it has added Sky Player to its service this week, marking the first time Sky has allowed itself to be on a set-top box other than its own. TechRadar managed to get hands-on with the service and were impressed with what we saw. Sky is pushing itself has being "platform agnostic" at the moment, which essentially means: if you haven't got a satellite dish, don't worry as there is another way to get Sky - to have it piped through your broadband connection in the form of Sky Player. Fetch TV has added the service to its Freeview+ Smartbox 8000 and you can either use an Ethernet connection to run the Sky content or hook the box up to your network via WiFi. When we played with the Fetch TV box it was using Ethernet. While Fetch TV has tried to make the experience of flipping between Freeview content and web content as seamless as possible (it doesn't want you to worry about where your shows are coming from) there is a touch of lag when your drill into the IPTV content. It's only a few seconds so doesn't detract from the experience but it is a bit of a statement that TV through the internet isn't as immediate as through an aerial. Anyone familiar with the Sky setup will be right at home with the service on Fetch TV. The familiar blue and yellows are there and the categories are broken down into the following: TV On Demand, Channels, Help and About Sky Player. Essentially, it is only the first two categories that you need to worry about. The on-demand content is archived shows that you can watch anytime and, if you have a regular Sky subscription, for free. If you want to watch the live channels, then you will have to fork out for a multi-room subscription. This will entitle you to watch Sky Player on Fetch TV and four computers. A word of warning: if you are already watching Sky Player through the Xbox 360, then you will have to choose between that device and Fetch TV. Sky has locked Sky Player to just one non-computing device. Even though Fetch TV is a PVR, you will not be able to record any of the Sky channels. Sky is hoping to sweeten that bitter pill by saying that the on-demand service is so chock-full of content that you want care that you can't record your favourite programmes on to the hard drive. As an additional service to your Sky subscription, Fetch TV feels like a great way to push Sky into more rooms in the house, without the need of extra Sky boxes. The service is packed with content and there is enough on-demand material to keep everyone happy. Currently there are no movies available, though, but Sky is hoping to remedy this in the coming weeks. If you are new to Sky, then Sky Player does seem like a decent introduction to the service. And now it is on Fetch TV, you can get a Sky package for around £15. If you want it all, though, you are going to be spending out over £40 a month. Fetch TV is definitely offering a much more enhanced service now Sky is on-board. For something that was going to the same road as BT Vision (it has BBC iPlayer and a range of other Catch Up TV options), the addition of Sky does make it a real contender and a point in the direction of things to come. This is by no means an exclusive deal, however. 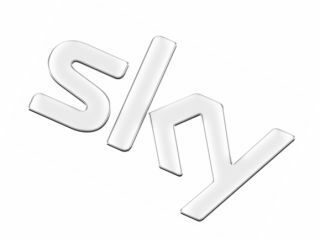 Sky has already announced it is coming to 3View and there are bound to be more partners announced in the coming months. And there is also the fact that currently the Fetch TV Smartbox is displaying standard def - with Freeview HD versions of the box out in June. It's no bad thing, though, to get in there first.